If you already know how to crochet this DIY will be pretty easy but if you don't know how, don't fret! It's not that hard, just takes a little practice. Learn to crochet with Crochet Geek. Learn to turn t-shirts into yarn, use this tutorial. 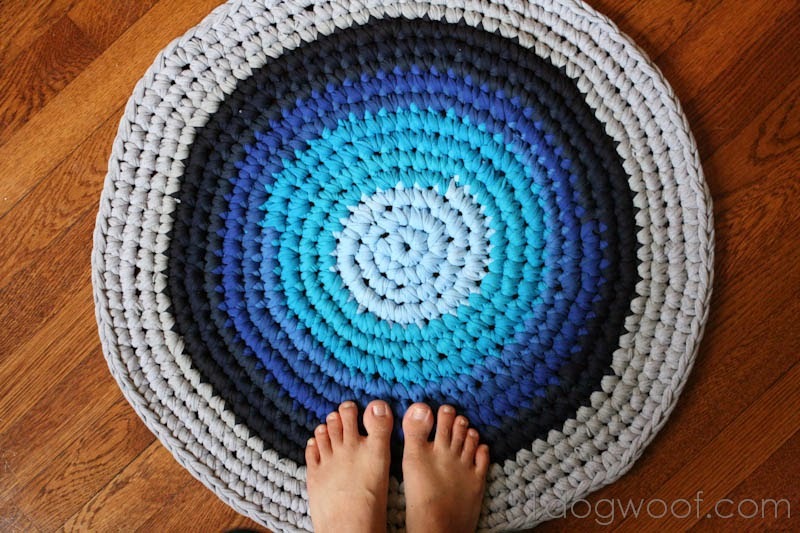 Take on a project like a Crochet Rug by ChiWei. 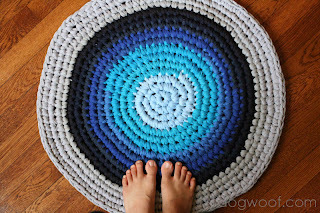 Now that awesome rug might look a little intimidating but basically once you replace yarn with old t-shirt you can crochet like almost anything and upcycle those t-shirts into whateva you want. I chose to do a cup cozy for my Copco re-usable reusable to-go mug. For some reason I took off the grip cozy the cup comes with and it's lost now. I still had pieces of t-shirt I used to make headbands and of course I still didn't want to throw those away so yeah. They were small pieces I just knotted together to keep the "yarn" going.